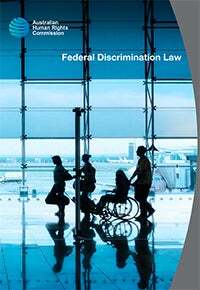 Federal Discrimination Law is produced by the Commission’s legal section and provides an overview of the federal unlawful discrimination laws and examines the significant issues that have arisen in the federal unlawful discrimination cases. It also contains comprehensive tables of damages awards made since 13 April 2000 when the function of hearing unlawful discrimination matters was transferred from the Commission to the Federal Court and the Federal Circuit Court. In 2016, the Commission entered into a partnership with LexisNexis to update Federal Discrimination Law as it was last updated in 2011. It is this partnership that has resulted in the publication of the 2016 edition of Federal Discrimination Law.